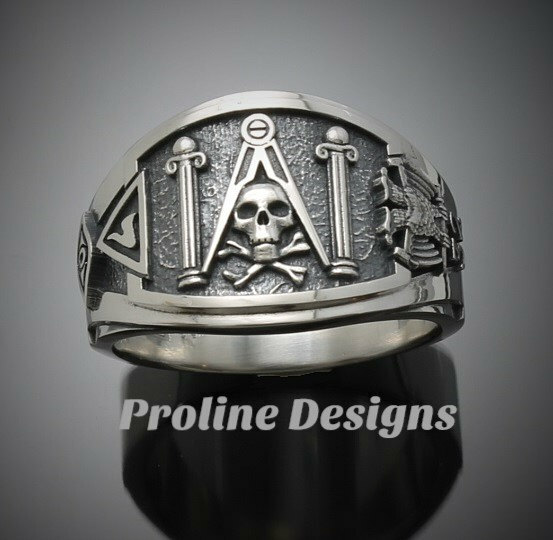 Our newest cigar band masonic ring features the skull and pillars with the compass on top framed by the Scottish Rite Double Eagle and 32 on one side and the Yod and seeing eye on the other. The dark oxidized background makes the details stand out against the high polish. 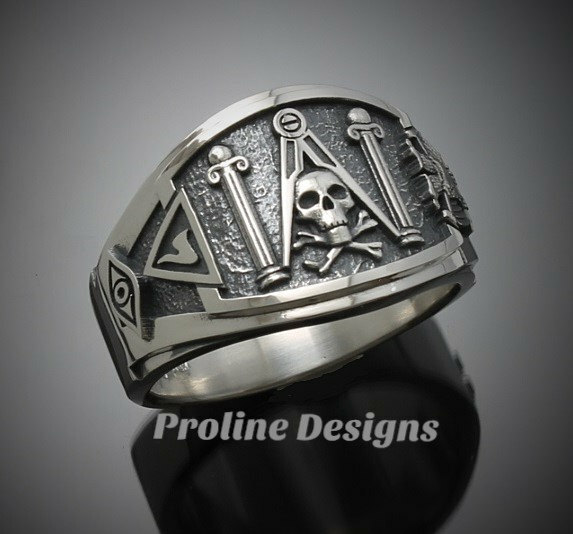 Like our other products this ring is designed with a low profile for a comfortable fit and cast in solid 925 sterling silver with a tarnish inhibitor. Available in sizes as small as 6 and up to a 17! 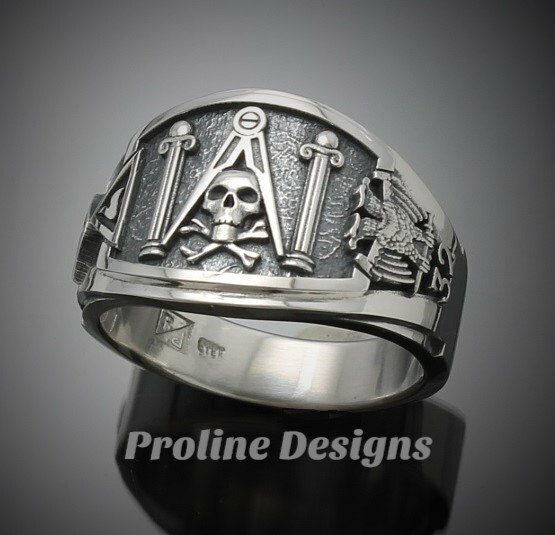 Like all our other products this ring is customizable to your liking and can also be made in yellow, white or rose gold. This entry was posted in product line. Bookmark the permalink.